League bowling is one of the most popular recreational sports in the United States. 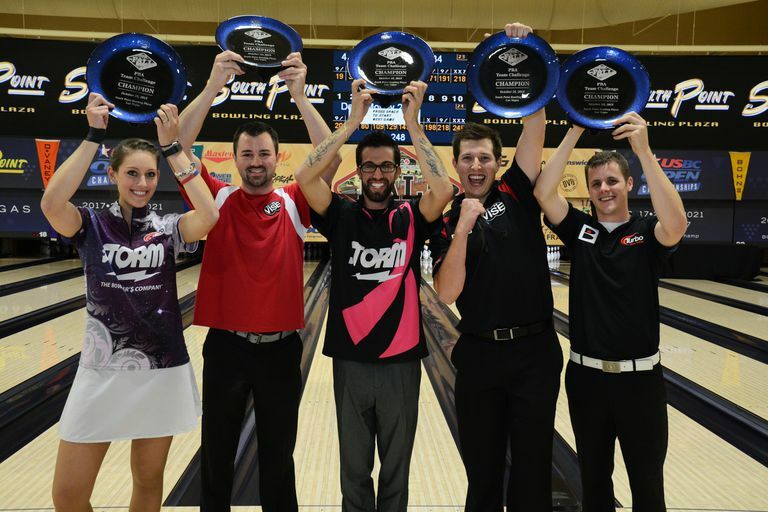 If you're not a league bowler, chances are you know one, even if you don't think you do. League bowling has given many hours of joy (and frustration) to people since the inception of the sport and continues to do so. There are leagues available for all types of bowlers. If you're one of the best bowlers in the area, there's a league for you. If you don't care about winning at all, there's a league for you. If you and your significant other want an activity you can do together, there are couples leagues for you. On top of all the leagues bowling alleys administer, you can usually set up your own league at your own center. Bowl the way you want with the people you want. Small-time gambling is acceptable in most bowling leagues. Often, half your league fees go toward your bowling and the other half goes toward the prize fund. At the end of the season, you and your team will receive prize money based on where you finish. Individual prizes are usually up for grabs, too. Other ways to win a pittance during league bowling involve card games and strike pots. If bowling isn't enough for you, many bowling alleys have TVs playing whatever most of you want to watch (typically sports). Depending on the time of your league, you can watch entire hockey and baseball games while bowling. What Is a Sweeper in Bowling?